The main worship area of the church was built in 1909, being attached to an 18th century cottage and stables, which now comprise a meeting room,kitchen and toilet block. The whole building was extensively renovated internally in 2013. The open plan main worship area is also used during the week for keep fit, pilates and dancing classes, as well as being available for hire for fund raising activities. A weekly coffee morning is held on Thursdays between 10:30 am and noon. Our goal is to make our church a vibrant, welcoming hub of village life to the whole community, and present a 7 day a week God to all who come into our premises. 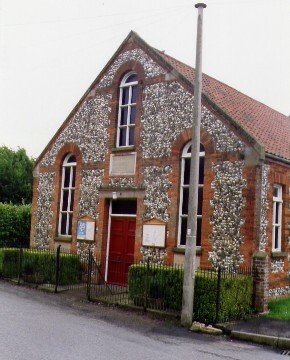 Address: Front Street, Litcham, Norfolk. PE32 2QG. Cafe Style Worship 1st Sunday of the month. Coffee Morning every Thursday 10:30am to 12pm. Monthly ecumenical bible study and discussion group is held on the 2nd Friday of the month between 10 and 11am. For details of Fellowship gatherings, contact Stephen Lynn on 01328 700978 as well as for details about being a part of the Church drama group.